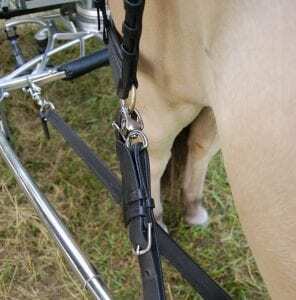 Snap shackles are fairly common these days in carriage driving. 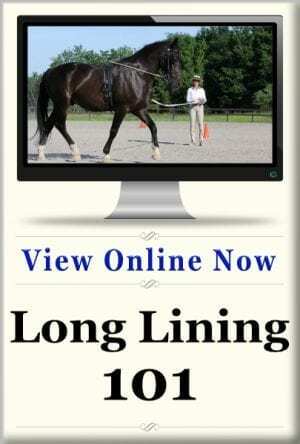 They making hitching and unhitching your horse quick and convenient, but the primary reason for using them has to do with safety. Learn a little more about snap shackles, including the ones I use in this Facebook Live video I recorded on Feb. 7th, 2019. Traditionally, carriage horses are hitched to the carriage with friction based trace attachments, or snap hooks, also known as cockeye snaps. This system of coupling works great for keeping a horse attached to the carriage in most circumstances. Occasionally a trace may release by accident, but that’s usually not a big problem, and it’s not the problem that we use snap shackles to address. 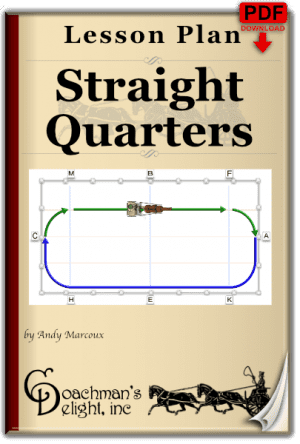 The trouble with friction based mounts or snap hooks arises if you end up in a tight spot with a horse because the carriage has gotten stuck, the horse has fallen, or the carriage has turned over. 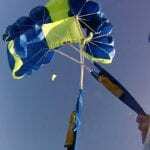 In those circumstances, the harness is usually twisted out of shape and under extreme tension. 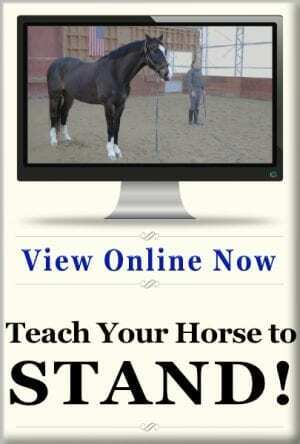 On top of that, the horse is usually having a bit of a melt-down. You need to get that horse detached from the carriage as quickly as possible. With friction based hitching mounts or more traditional snaps, there must be slack in the traces to release the trace from the mount. That can be mighty difficult to achieve when the sh** hits the fan! A snap shackle has been engineered so that it can be opened while it is bearing weight. There are several designs of snap shackle in the world, but the ones we most commonly use in carriage driving are the jaw and plunger design. When jaw of the snap is closed, a spring loaded plunger pin holds the jaw firmly in place. When the plunger is drawn back, it slides out of it’s seat in the jaw, and the jaw rotates open freely. A well manufactured snap shackle will allow the plunger to be extracted from the jaw with minimal effort regardless of how much weight is being held by the snap. That means that snack does not have to be created to release the traces or breeching for a horse who’s in dire circumstances. Typically, a snap shackle with a clevis pin bail is mounted to the carriage on the single tree. The harness traces should have a “D” ring on them to allow the snap to be easily attached and detached without resistance. If you have slotted traces, there are trace adapters that can create a D-ring attachment for your traces. 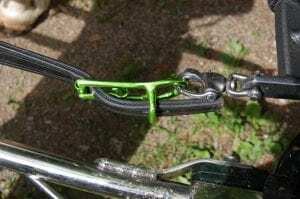 We also use snap shackles on the the breeching hold backs. 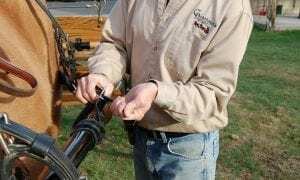 In that instance, the holdback is looped through a snap shackle with a triangular shaped bail, then snapped to the breeching where the holdback would normally be attached. 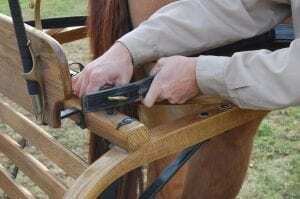 Then, the holdback is wrapped and buckled to the carriage in it’s usual manner. 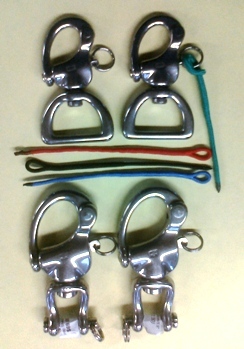 When driving pairs of horses or four-in-hands, snap shackles can be used on the pole head as well to hitch to the collars or breast collars of the horses on either side of the pole. Slotted to D-ring trace adapter shown in green. Are All Snap Shackles the Same? Certainly not! Any product that can be manufactured can be copied and made cheaper. Cheap knock-off snap shackles can be hard to distinguish from their more expensive counterparts. While they may look, and seem to operate the same in daily use, there’s no way to know if they’ll operate the same when the chips are down. Cheap knock-off snap shackles will often bind when bearing weight. In other words, in that one rare moment when you really really need to be able to open that snap, you can’t. I’ve experienced this, and I can tell you, it’s unpleasant. Sticking with a brand name snap shackle means that you are using a piece of equipment that has been tested by the manufacturer to perform in it’s most critical function: releasing when activated by pulling on the plunger. In most cases, they have also undergone working, and break load testing. There are a number of manufacturers of snap shackles such as Wichard, Herm. Sprenger, Harken, and Ronstan to name a few. No doubt, there are dozens of others as well. With a little research, you can find the testing and guaranty information for each brand of snap shackle. 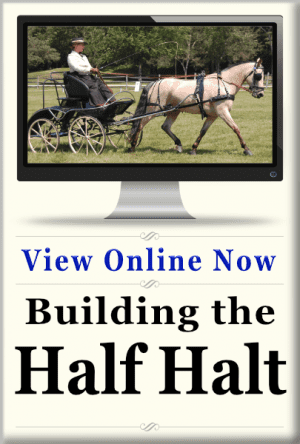 It would be an interesting and fun project to figure out just how much force is exerted on a trace or breeching snap during aggressive carriage driving in something like a combined driving event. Of course, that would take some really clever rigging, and probably a ton of math. I haven’t seen that sort of study ever completed. If you know of one, please tell me about it in a comment below! That said, most of the more reputable snap shackles report working load conditions in the area of 2,000lbs to as much as 5,000lbs (+900 kg to +2,200 kg.) The breaking loads are often listed as multiple times higher than the working load. While I can imagine that a big horse running a carriage at full speed into a concrete post might get close to those weight limits, I think it would be rare. Suffice to say, if you choose a snap shackle that has been tested by a professional manufacturer, you’re rather unlikely to reach it’s breaking point. Cheap, damaged snap shackle. The jaw and plunger not well seated. Occasionally a snap shackle will pop open by accident. This is relatively rare with a high quality snap shackle, and is usually the result of something other than a failure on the snap shackle’s behalf. 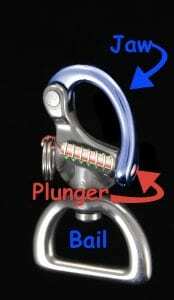 The most common reason that snap shackles pop open under use is that the plunger was not full seated in the jaw. More often than not, this is because the snap shackle hasn’t been cleaned… ever. These pieces of hardware are in use in the dirtiest, grimiest, dustiest places on your carriage. When grime (especially horse dander) builds up on the plunger, is can’t slide smoothly through it’s housing and the hole in the snap’s jaw. When that plunger isn’t fully engaged in the jaw, it can release unexpectedly. The solution is easy. Keep your gear clean! It just takes a little soap and water, and maybe an occasional spritz with some spray lubricant to keep those snaps operating freely. The second most common reason for accidental release is a lanyard being pulled. That can happen when long lanyards with knots or loops are used on the plunger pull. They can be caught by passing over brush, a horse’s tail, or in the case of snaps on a pole, a mischievous pony grabbing the lanyard with his mouth! I use nylon whip cracks (or poppers) for the lanyards on snap shackles. I burn the ends so there are no frayed bit to snag on things. These make great little, low profile snap pulls that rarely get caught up in anything. Finally, damaged snap shackles won’t allow the plunger to full seat to keep the snap closed. 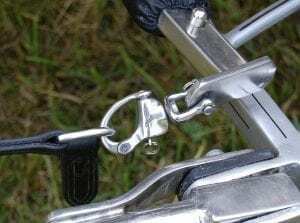 While a good snap shackle is nearly indestructible while closed, they can get bent out of shape if they are left open. 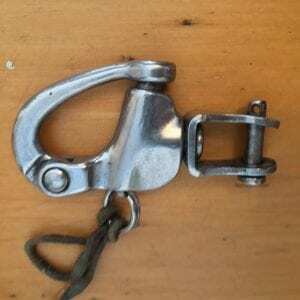 This sometimes happens to an open snap shackle while loading carriages into a truck or trailer. The open jaw can get wedge between two surfaces and torqued out of shape, especially if you’re using a winch to load the carriage. Keep those snap shackles closed when they are not in use, and they’ll likely last you a lifetime. I have snap shackles that are over 20 years old that still work great. Since so many people use cheap snap shackles that are not well maintained, it’s fairly common to see people taping snap shackles shut. That practice effectively disables any safety benefit gained by using a snap shackle. This would be similar to choosing to tuck your car seatbelt under your lap instead of bucking it into it’s anchor point. Sure, you won’t get trapped in your car by your seatbelt, but you may also be dead because you went through the windshield in an accident. Taping a snap shackle closed takes the “quick” out of the “quick release” formula. At that point you might as well use a carabiner or other style snap that has been designed to not release easily. under normal circumstances, you won’t have a problem, but if you have to get a horse unhitched in an emergency, you may find yourself in hot water. Web shackles (2374) on top. Trace shackles (2474) on bottom. Whip cracks used for lanyards. For the traces I typically use model #2476. On small pony or mini carriages, I use #2474. Since the main place in the world that snap shackles are use is in boating applications (don’t ask me where), snap shackles can be purchased from just about any well known boating hardware supplier. Of course, many carriage equipment suppliers sell snap shackles as well. You may pay a few more bucks to buy them from a carriage supply retailer, but you’ll also be supporting those who support our chosen sport. So be a supporter and go to someone who’s in our hobby with us! You’re welcome to tell them I sent you, and maybe they’ll buy me a beer sometime! This is a great article Andy, thank you for doing it. I want to point out that there are multiple sizes and designs of top quality quick release shackles for different sized equines and different purposes on the harness. Just ask the sales person for advice. Lastly, I don’t like to discredit a brand you mentioned, but, Sprenger only offers one “Hot Drop Forged” shackle (for traces) in their lineup of quick release shackles. None of the others are “rated” for strength. On the biting the tongue at official’s suggestions… when it’s your turnout, it’s your decision. An official can’t come up with “house rules” on the fly. They can make suggestions, but if it isn’t in the rule book, they can not insist that you follow their suggestions. If they do, it should be reported. 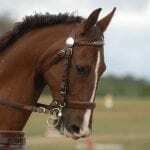 On the Sprenger snaps, well, ya. That’s why they are not really among my favorite. Hopefully I was pretty clear that Wichard is by far my preferred brand. Thank you for taking the time to make this informative video. Clearly explained in an enlightening way. The smooth side of the snap should be against the horse and the quick release away from the horse for easy access, would be my guess. When using thumb snaps, that can pick up anything pressed against them, like the one you showed, the opening part should be against the horse so the snap doesn’t pick up anything if it is pressed against it, branches or straps etc. I am a new member from Florida where the Winter Circuit is in full swing. 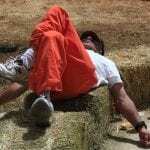 I enjoyed your discussion on snap shackles and Hardy Zantke’s comments too. I use the velcro snap shackle covers for marathon and at Palm Tree CDE a few years ago had a turnover that resulted in a broken arm. Despite the fact I was working with only one arm, I was able to take the harness off quickly thanks to the use of snap shackles and a wonderful pony that laid down and waited quietly for us to free her from the carriage. Thank you for your information. Great article, Andy. Congratulations. The use of them in boating comes from sailboat racing with Spinnakers – where the sheets need to be released sometimes under great pressure (same as traces in a turnover). That’s what they were developed for and that’s why you find them in boating stores – often also called “spinnaker-snaps”. Prince Philip is credited with bringing them to carriage driving from his sailing background. If they accidentally open when used for the traces – I think – is really not such a big deal – sure, it is annoying and costs time which you don’t want to lose if it happens in a competition – but otherwise, hey, it’s just like a “trace down”. 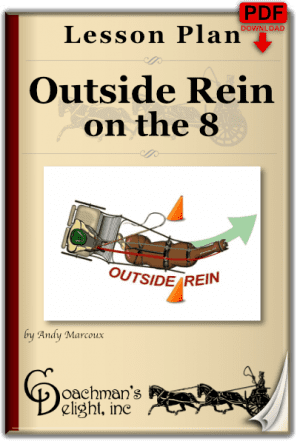 The dangerous part comes in when it happens with a pole strap or a breaching strap as then the carriage can run up on the horse(s) unless you have a good brake. I think that at this point in my life, I’ve experienced an unplanned release on just about every attachment point. Poles, breeching, traces, and even shaft tugs (I guess I’ll have to do an article on those sometime soon.) Most of those the because of human error (not confirming the plunger was seated) poorly maintain equipment, or just plain poor equipment. As you say, it usually isn’t a big deal. None of my experiences lead to anything more than a pause in the action to reattach the hardware. It usually takes a combination of events for an accidental release to lead to a big problem, as I mentioned in video. 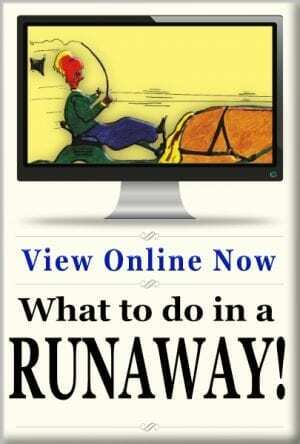 Yes, very true – the combination of events leading to accidents – as in all walks of life. Keep up your good work, Andy. Regarding the shackles that might accidentally open while in use: clean gear is your best solution. I have also seen the small, wide rubber bands used to hold lobster claws shut wrapped around the shackle and over the pin to prevent it from opening. The band is easy to slid up over the shackle and slides off for release. Thanks Andy for this presentation. Good information on these things, and the pictures are particularly helpful. I would also like to know where to get the “Slotted to D-ring trace adapter” – I could use about 4 pair! The trace converters pictured were made by Ideal. Anyone who sells their harness could get you as many sets as you need. How do the Ideal shackles hold up? They also make velcro covers for the shackles that pull loose easy. I can send you some to see what you think. I don’t have much experience with Ideal’s shackles. As I tried to make clear, it’s not so much about the durability, as the reliability to open under emergency circumstances. I’ll stick with Wichard when I’m asked to make the decision. I think the velcro covers are probably a better option than electrical tape for sure! Probably makes things a little quieter as well.